Aren't you proud? It's actually been more than a week since I've tried another sushi joint! GO ME! This one is an oldie, but a goodie. I came here before I'd ever tried sushi. It's changed names a few times, but it's the same delicious food every time. My girlfriends and I were in a sushi mood, but not AYCE. Shogun was the obvious choice. There aren't many a la carte Japanese restaurants around anymore. I know AYCE restaurants offer a la carte, but I find the quality isn't there. Shogun has a simple décor with tables, booths and 1 large teppanyaki cooking area. In the evening on weekends, there are no seats available for teppanyaki. Go early! We had spicy tuna, spicy salmon and cucumber avocado rolls. The ingredients were fresh and plentiful. My one friend likes carrot with her a/c roll and the chef was happy to add it to her order free of charge. 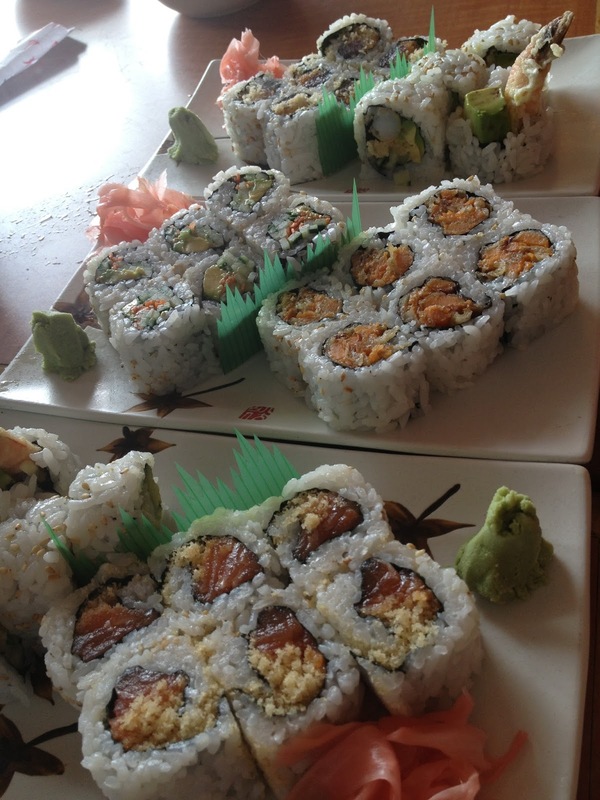 Our server was knowledgeable and answered any questions we had about their signature rolls. Our only moment of confusion came when the bills didn't. We didn't realize we were to go upto the front to pay. Oops! Looking for consistently fresh, flavourful Japanese food? Shogun is a safe bet. Their bento boxes are fantastic too!